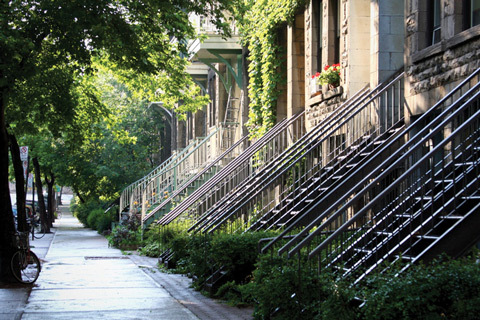 There was a strong gain for home sales in Montreal in July, the Greater Montreal Real Estate Board reports. Sales of 3,075 homes was a 16% rise from a year earlier and the most active July for 8 years. The Island of Montreal saw sales surge 21% while the Vaudreuil-Soulanges was close behind at 19%. Sales in Laval and the North Shore were up 14% but the South Shore gained by a relatively moderate 6%. Condos led the gains across the region at 24% while single-family home sales increased 13% and plexes just 2%. Median prices were up 8% for single-family homes to $323,000; for condos the rise was up 2% to $256,000; and for plexes it was up 7% to $489,000. “For single-family homes, market conditions for resales are increasingly favouring sellers, which explains why price increases have been more sustained in recent months,” said Mathieu Cousineau, President of the GMREB Board of Directors. “We are also in a seller’s market for plexes, while market conditions for condominiums are almost balanced,” he added. Inventory was down 15% to 24,412.